Mexico has many miles of amazing coastline on both sides of the country. Recently the east has been in favor as newer places have drawn the hip and trendy crowds. New and fresh, and catering to a crowd that is in tune with today’s lifestyle. This gets the attention of the travel media. Historically, the Pacific Coast was Mexico’s playground for the hip, savvy and fashionable traveler. Recent years have seen this decline as many destinations and places have relied on “old” images and ideas from the heady days of the past. Frankly, you would be hard pressed to find many who know who Richard Burton and Liz Taylor are today, or for that matter even care. Something that some in Puerto Vallarta seem to still identify with. Of course, they put Vallarta on the map. But that was so long ago. 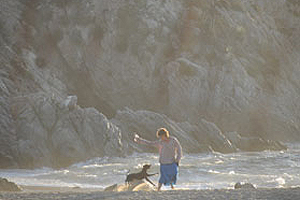 This a good time to take a fresh look at Mexico’s Pacific Coast, and in particular the coast of the state of Jalisco. It is extremely accessible with an International airport served by daily flights. Flying into Puerto Vallarta is just plain easy, and from the West coast of the U.S. it is practically a commute. And, Jalisco has some of the best beaches and oceanfront property that has yet to be discovered. Also there is much that is new. 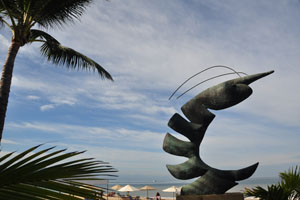 Puerto Vallarta has a brand new landscaped expanded Malecon for pedestrians only. New wide sidewalks everywhere, and a new pier on Los Muertos beach. It is a great town to walk around. You can find just about anything from eclectic and rustic, to chic and sophisticated in Puerto Vallarta. 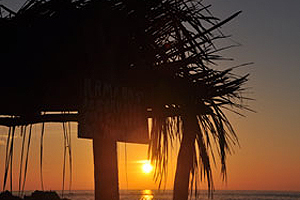 Vallarta is a perfect place to hang out, and also a great jumping off point for some exploring. The best comes with a little adventure and driving a couple of hours to the south. You will see why the Pacific Coast of Mexico has so much to offer. Those in southern California and familiar with Baja would appreciate how special the south coast of the state of Jalisco truly is. It is a paradise waiting to be discovered. Virgin pristine beaches, hidden coves, long stretches of open-ocean and a diverse landscape all await you to explore. Imagine walking undisturbed for a mile or two on a virgin beach. Finding a little cove that seems like your own. Maybe a place filled with sea birds and marine life. These are the qualities many dream about or wish for – discovering a post card endless beach. This is the Pacific Coast of Mexico. Waiting to be re-discovered.